One of our kids Emanuel Masha was half orphan living with his mum and grandparents but unfortunately recently he his mum passed away and he is now a complete orphan. As a student Emanuel was always the best of his class but lately he is mind absent because of the death of his mum. 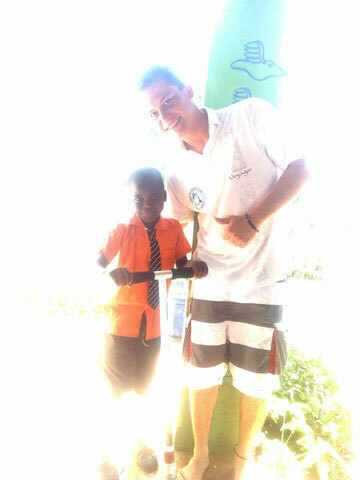 Maurice a friend of KARIBU care in Kenya found out about his story and he decided to donate his beloved scooter to Emanuel so he can be in charge of it in the school. Emanuel was very happy to receive it and he thanked Maurice.